Perry's Landing - New Property! 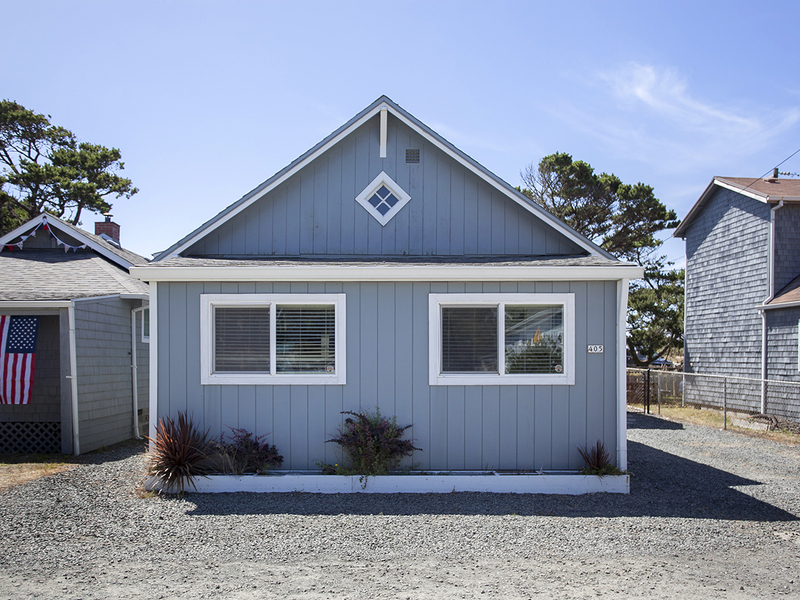 Welcome to Perry's Landing located in Rockaway Beach! 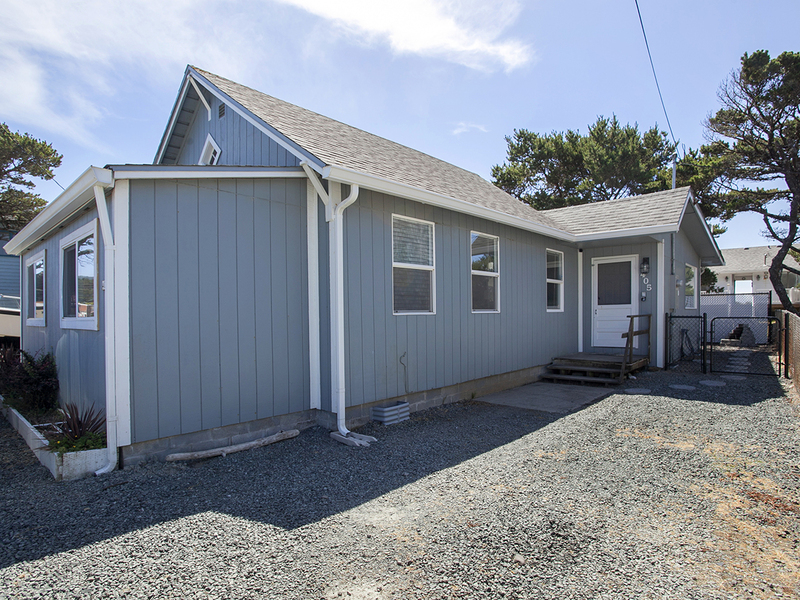 This one story home offers room for up to six guests with two bedrooms and one bath! 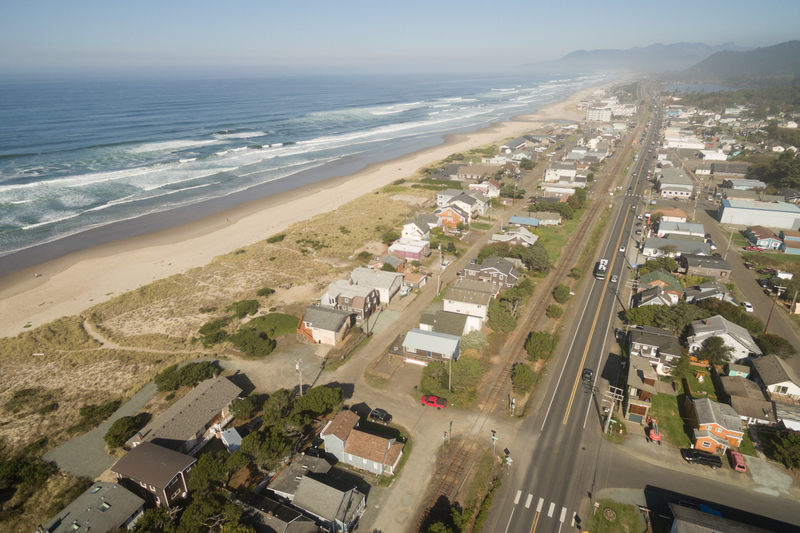 You'll have close beach access, just a short walk down the road, along with being within close walking distance of the many shops and restaurants Rockaway Beach has to offer right alongside Highway 101! 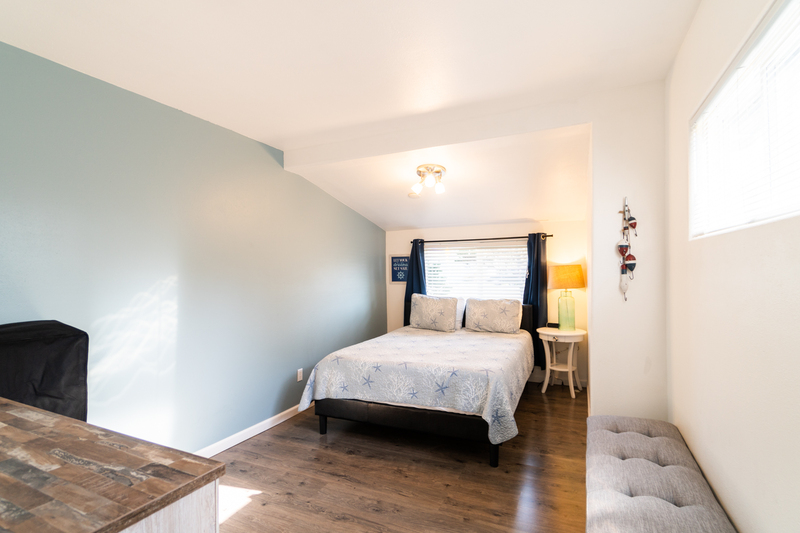 This beautiful, blue home offers guests a relaxing and comfortable atmosphere to get away from the day to day worries. Step inside, and you'll find yourself in the midst of a cozy living room complete with a large sofa and a large flat screen TV! There is even a dog cage in the home for your pet to sleep in at night. 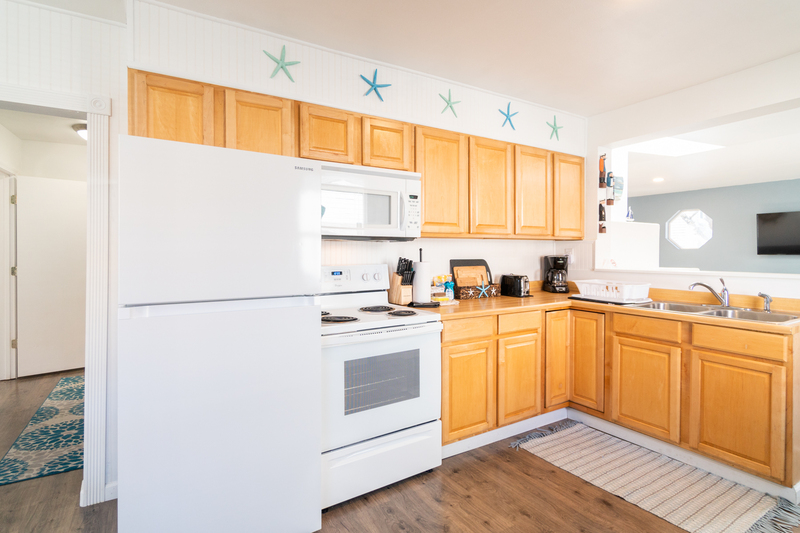 You'll find a complete kitchen adjacent to the living room with everything you'll need to cook up a homemade meal, including a fridge, a microwave, and a stovetop/oven. Please note that this home does not include a dishwasher. The dining room table has seating for up to four guests. You'll also have some pet bowls for your dog's food and water. Head down the hallway, and you'll find the bedrooms and bathroom. Each bedroom contains a queen size bed decorated in soft blues, whites, and tans. There is also a twin size rollaway bed. The bathroom offers a shower/tub combo and is decorated in a lovely blue and white theme, perfect for being at the beach! You can also find a washer and dryer at this unit for your own personal use. Feel free to pack light! 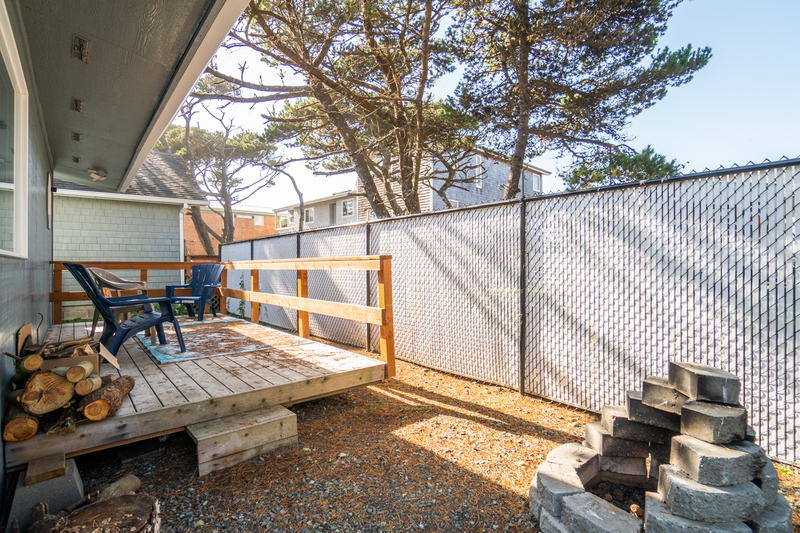 You'll also have a private deck to relax on, complete with a couple of deck chairs. Cook up some seafood or burgers for your family, and enjoy a meal together around the table or TV. 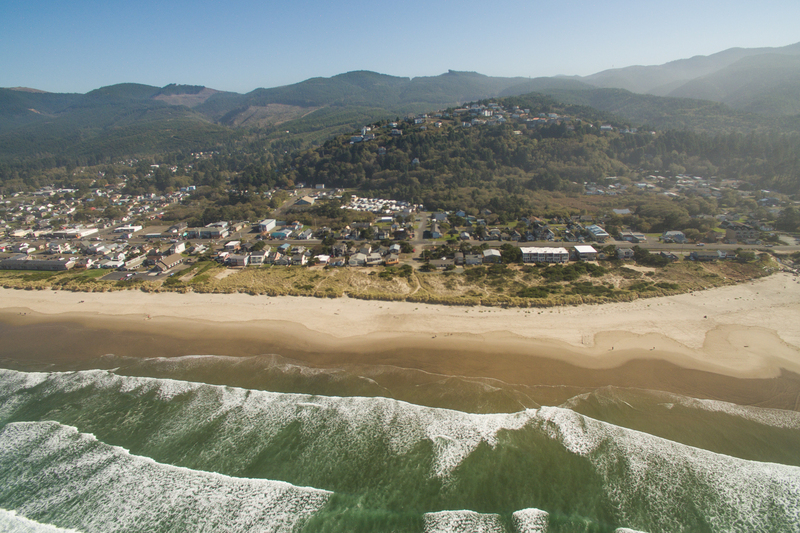 Book your stay at Perry's Landing today with Oregon Beach Vacations! "Our family, dogs included, had a great time at this rental home. It's beautiful, clean, has everything you could need, and is so cozy! We all slept great 🤗. It was perfectly located for early morning beach walks,or trips to other beaches. We loved it!!" Phenomenal beach house, great bargain!!! "Stayed for 2 days, House was exceptional! Steps away from the beach, a really great house for a much better price than a hotel (there were 6 of us). Used the kitchen for cooking, washer/dryer was a nice bonus so we could go home with clean clothes. Loved the DVDs and the games available too! Five++ stars!" "Hello Larry, Thank you for your review. We are glad to hear that you enjoyed your stay at Perry's Landing! We are so happy that the home was better than you hoped for! We hope this means that you'll be back again soon for another fun trip to the Oregon coast. Thank you again for your review." "It was as described. A very short walk to the beach and not too far of a walk (about 4 blocks) to the downtown shops. We rented late September so the town was not too crowded but everything was open. Would definitely consider this house again."